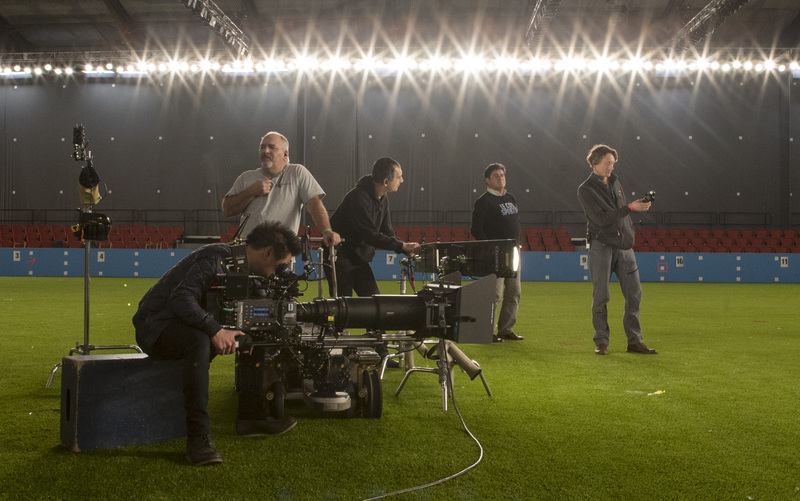 Matty Libatique, ASC on a Nike commercial with 2 DMG Lumière SL1 LED fixtures. From Lyon, land of the Lumière brothers, come another band of brothers: Nils, Mathieu and Jean de Montgrand. Along with gaffer Nicolas Goerg, their company is DMG Lumière and they make extremely light, incredibly thin and innovative LED lighting fixtures. It all began in 2003. Middle brother Nils starts a company called Smartlight to develop LED products. One day in 2007, while having his teeth cleaned, he winces in the glare of the dentist’s miserably hot and harsh halogen inspection light. This is the “Aha” moment. Nils develops a line of LED products for the medical and dental industry. It is his first step into understanding the importance of faithful color rendition and soft illumination. Imagine a dentist working on your teeth under glary, greenish light. Meanwhile, on location somewhere in 2010, eldest brother Mathieu learns about Nils’ LED lights and their high CRI. Mathieu happens to be a busy cinematographer (previously a camera assistant and operator). He and his gaffer Nico sketch out their dream light. They bring the drawing to Nils and ask if he could manufacture it. This is the beginning of the SL1. 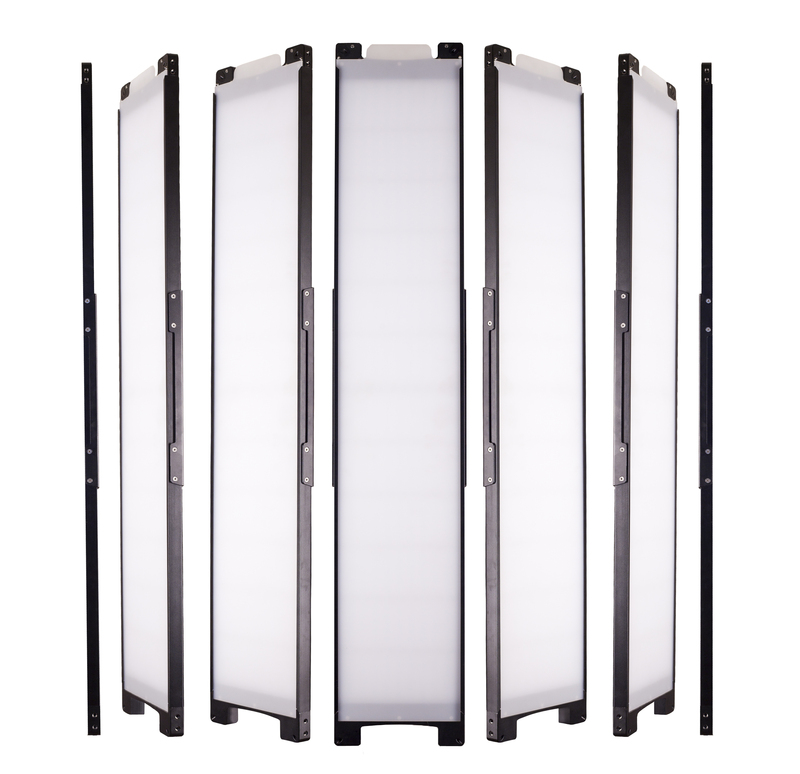 Views of SL1 — about the length of a standard 4-bulb 4-foot fluorescent unit, a lot thinner and much lighter. In 2012, the first monochrome SL1 (in daylight or tungsten) is sold to Transpalux Paris for Sylvain Chomet’s Attila Marcel, with cinematography by Antoine Roch, AFC. Two years later, in 2014, Nils sells Smartlight, retains the SL1 brand, and co-founds DMG Lumière with Mathieu and Nico, bringing the headquarters back to their home city of Lyon, France. 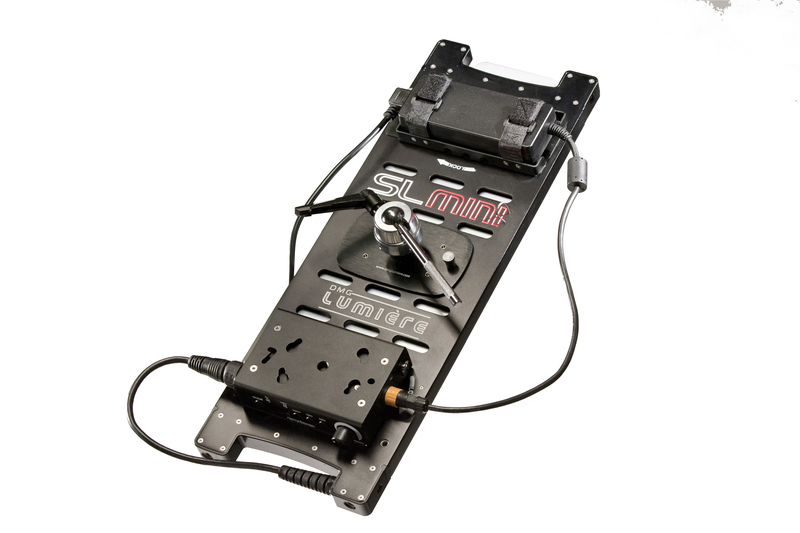 In 2015, the variable bi-color version of the SL1 is born, the SL1 Switch. Their slogan is, “It’s time to Switch”. 2016 sees the arrival of the Mini Switch, half the size of the SL1. Rear of Mini Switch with Power Box. Youngest brother Jean joins the company in 2016 as a partner and is shipped off to Toronto, Canada to open DMG’s North American office and warehouse. It’s quite a success story. DMG Lumière has sold over 2,000 SL1 lights in more than 25 countries worldwide. A much larger unit is on the way. Their LED fixtures, born from dental technology, struck a creative nerve (sorry) in cinema lighting with a perfect storm of elegant design, quality, durability, and user-friendliness. 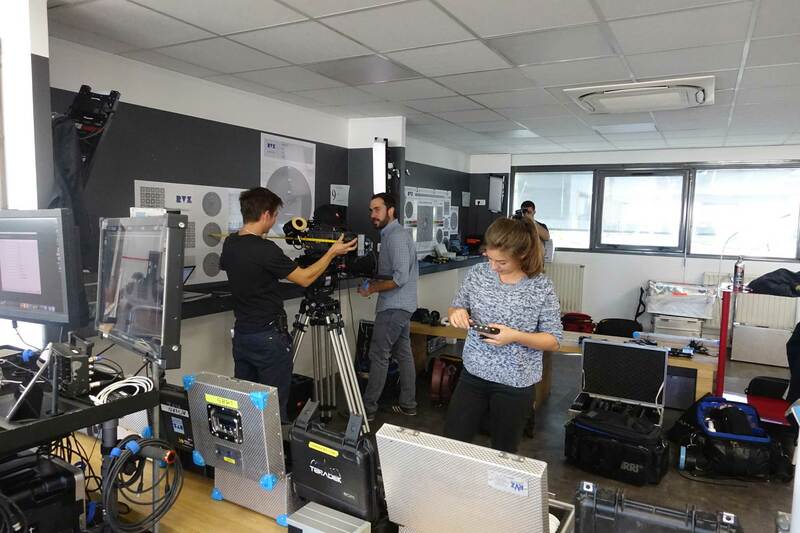 DMG Lumiere Mini Switch LED fixtures illuminate the checkout bays at RVZ Paris Camera Rentals.